In today's uncertain economy, many people struggle to make ends meet. Whether it's a job loss or medical emergency, people often need quick money to pay their bills. If these situations arise, people often turn to credit cards or loans from banks, credit unions or friends to get by. However, when none of these options are available, payday loans offer a way to get quick cash for short-term financial needs. While there are many payday lenders available across the country, some such as AmeriLoan, Castle Payday and Lend Up are known for their excellent customer service and various options for helping people get the money they need. The biggest advantage each of these lenders offers to customers is their quick service. All three lenders can process applications within one hour, making sure customers have the funds they need most often within 24 hours. All have online application processes, letting people apply for funding in the privacy of their own homes. To qualify for loans at all three lenders, a person must be 18 years old, be currently employed for at least one month, have an active checking account and be able to provide personal references. AmeriLoan requires two references, while Castle Payday and Lend Up ask for up to four references. All loans are deposited directly into the customer's bank account, making it easy to have access to their money. One difference between these lenders is the types of loans they offer. 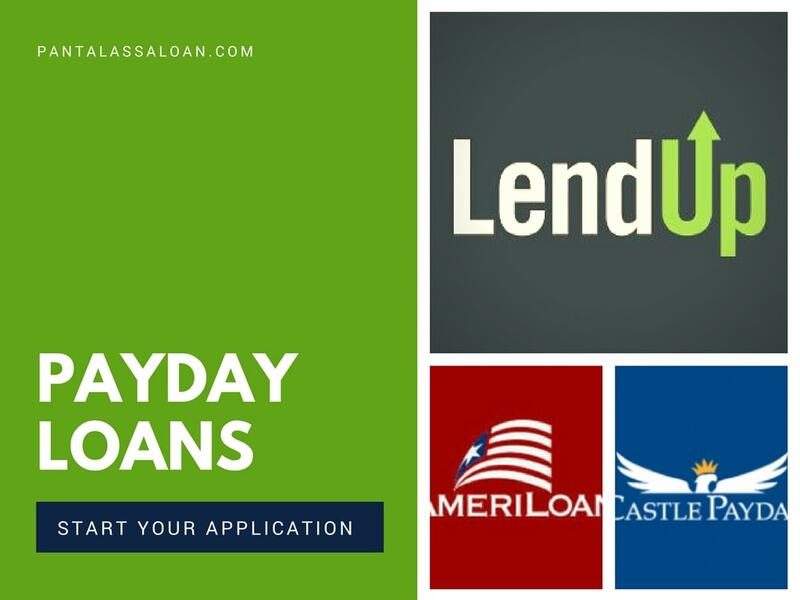 While AmeriLoan and Castle Payday specialize in payday loans, Lend Up takes it a step further and offers installment loans to customers. These loans, with interest rates as low as 29 percent, offer customers the chance to take out loans for bigger purchases. Customers with Lend Up can work up to these loans by starting out with payday loans, then working up to installment loans as they build a successful history of paying off their payday loans. All three lenders offer payday loans ranging from $100-$1000, depending upon the customer's needs and their ability to repay. Castle Payday requires applicants to have a monthly income of at least $1000, and all accept debit cards and money orders as forms of repayment. For people facing financial difficulties, payday loan lenders offer a valuable service. While the loans do have high interest rates, usually hovering between 200-300 percent, if used responsibly they can help people overcome their financial difficulties. When in need of a payday loan, choosing any of these three lenders will help alleviate a tough financial situation. Today, to get the required amount on hand without confirming the level of earnings is quite simple. The process has been simplified so that you do not need to leave a comfortable place in front of the monitor, because loans are issued on the Internet. This allows you to make the process very fast and as convenient as possible. Not long ago, this way of getting money was available only for inhabitants of large cities of the USA. But now anyone can take a loan online who needs quick cash. Modern technologies are rapidly evolving lending, offering consumers more comfortable and loyal service conditions. The interest rate on the loan is equivalent to, and sometimes - lower than the average rate on the market. If you need cash in advance immediately and you do not want to spend time on the road and idling in queues, you will definitely need a loan online. This is an effective solution to quickly obtain the necessary amount of cash that has proved extremely positive side in terms of remote maintenance. Low interest rate, the maximum permissible limit of maturity and loyalty - factors of the online lending!